Edward Ferguson was the son of Michael and Elizabeth Ferguson. He was born in the Moneymore area on 24th March 1897. He was one of eleven children. 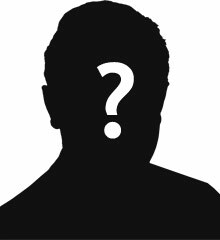 By 1911, he had left school and working as a mill worker. Edward enlisted in Greenock, Scotland where he was working during the First World War. 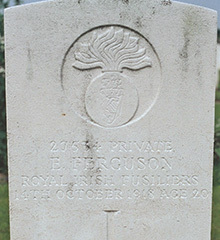 Private Edward Ferguson was serving with the 9th Battalion of the Royal Irish Fusiliers. He is thought to have been killed during an attack on the Terhand-Kezelberg area on 14th October 1918.